Julie Fairman Ph.D., F.A.A.N., R.N. Award Year: 2006 Over the past several decades, health care delivery in the United States has become increasingly specialized. So too has the practice of nursing. Julie A. Fairman, Ph.D., R.N. uses the nurse practitioner movement to explore the public and private forces propelling the specialization of nursing in the United States. Her Investigator Award project, Practice Politics: The History of Nurse Practitioners, 1975 to the Present, takes a comprehensive look at nurse practitioners and their role in health care delivery, their aspirations for professional growth and autonomy, their education and professional certification, state regulation, reimbursement for their services, federal and philanthropic funding for nursing education, and the influences of nurse specialty organizations and the American Nurses Association. Fairman's work should help reveal how the nursing profession has helped shape health care in America and responded to changes in the need and demand for health care services, while also promoting its own political and economic self-interests. 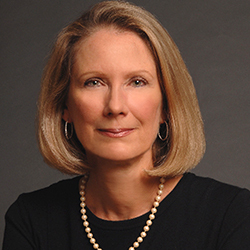 Julie Fairman is a nurse historian whose work on the history of 20th century health care represents a track record of consistent funding, including fellowships from the NLM, NEH and RWJ. Her work on the history of critical care earned her awards from the American Association of the History of Nursing and her first book, Critical Nursing: A History, received favorable reviews in the national and regional popular press and from reviewers in professional journals. Her most recent book, Making Room in the Clinic; Nurse Practitioners and the Evolution of Modern Health Care, is in its second printing and recently out in paperback. She is currently the Nightingale Professor of Nursing and Chair of the Department of Biobehavioral Health Sciences. She previously served as the director of the Barbara Bates Center for the Study of the History of Nursing for nearly ten years of leadership. Currently she is working on a history of the intersection of health policy and nurse practitioners in the United States from 1980 to the present. Dr. Fairman's research revolves around the history of 20th century health care issues that pervade contemporary nursing practice. Much of her recent work addresses the relationship between gender, nursing and technology (critical care) and the history of the social construction of professional boundaries (the history of the nurse practitioner movement). Her research has been utilized by members of Congress and by other policy-making bodies such as the Ministry of Health of New Zealand. She is currently investigating the influence of the nursing profession on health policy and looking at the role of the patient as health policy advocate. Other work examines the post-World War II history of nursing scholarship and disciplinary development. Dr. Fairman served as the 2009 IOM/AAN/ANF Scholar in Residence, working with the RWJ/IOM Commission on Investing in the Future of Nursing. Fairman, J. The Right to Write: Nurse Practitioners and Prescription, In Prescribed: Writing, Filling, Using, and Abusing the Prescription in Modern America, eds. Greene, J.A., Watkins, E.S. Baltimore, MD: Johns Hopkins Press, 117-33, 2012. Fairman, J. Patients and the Rise of of the Nurse Practitioner Profession, In Patients as Policy Actors, eds. Hoffman, B., Tomes, N., Schlesinger, M., Grob, R. New Brunswick: Rutgers University Press, 215-30, 2011. Fairman, J. The Visit: Nurse Practitioners and the Negotiation of Practice, In Nursing Interventions Through Time: History as Evidence, eds. D'Antonio, P., Lewenson, S. New York: Springer, 190-201, 2010. Mages, K., Fairman, J. Working with Primary Sources: An Overview, In Capturing Nursing History: A Guide to Historical Methods in Research, eds. Herrmann, E., Lewenson, S. New York: Springer, 130-48, 2008. Fairman, J., Okoye, S. Nursing for the Future, from the Past: Two Reports on Nursing from the Institute of Medicine. Journal of Nursing Education, 2011, 50(6): 305-11. Fairman, J., Rowe, J.W., Hassmiller, S., Shalala, D.E. Broadening the Scope of Nursing Practice. NEJM, Dec 15 2010. Fairman, J. Go to Ruth's House: Ruth Lubic and Public Advocacy. Nursing History Review, 2010, 18: 118-29. D'Antonio, P., Connolly, C.A., Mann Wall, B., Whelan, J.C., Fairman, J. Histories of Nursing: The Power and the Possibilities. Nursing Outlook, 2010, 58(4): 207-13. Fairman, J. Context and Contingency in the History of Post World War II Nursing Scholarship in the United States. J of Nursing Scholarship, 2008, 40(1): 4-11. Fairman, J., D'Antonio, P. Reimagining Nursing's Place in the History of Clinical Practice. J of History of Medicine and Allied Sciences, 2008, 63(4): 435-46. Sullivan-Marx, E.M., McGivern, D., Fairman, J., Greenberg, S. (eds.). Nurse Practitioners: Evolution and Future of Advanced Practice 5th Edition. New York: Springer, 2010.